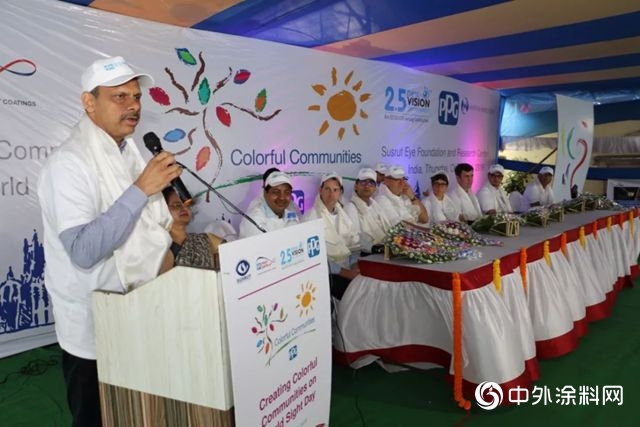 Kumar Padmanabhan, chief executive officer, PPG Asian Paints India, addresses volunteers at the Colorful Communities event. 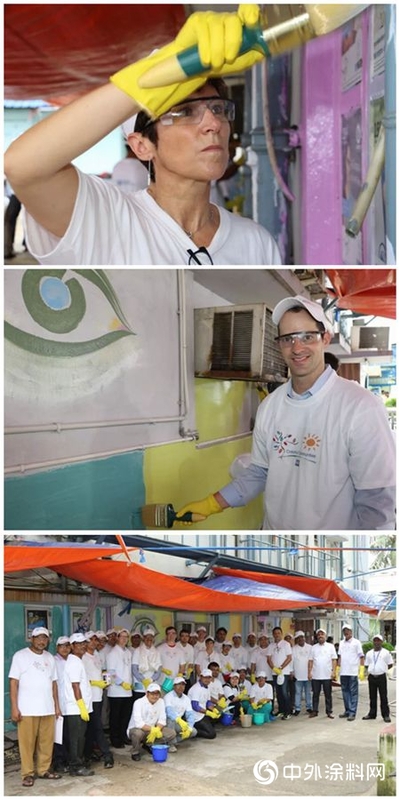 Alberto Bleda-Merino, international sourcing vice president, Essilor, addresses volunteers during the PPG Colorful Communities project. 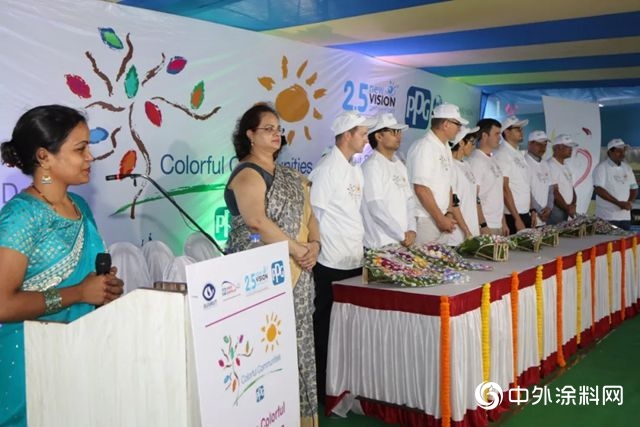 PPG and Essilor International announced the launch of a COLORFUL COMMUNITIES™ project in Kolkata, India, that will help revitalize the Susrut Eye Foundation and Research Centre. 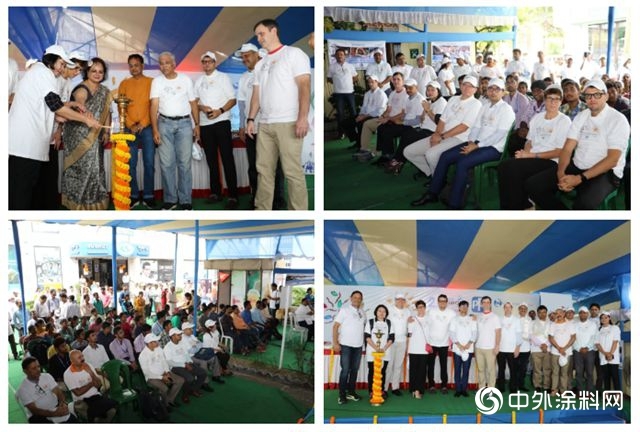 The Colorful Communitiesprogram provides PPG volunteers and products along with financial contributions to bring color and vitality to communities where the company operates around the world, such as in India, where PPG has manufacturing and administrative operations. 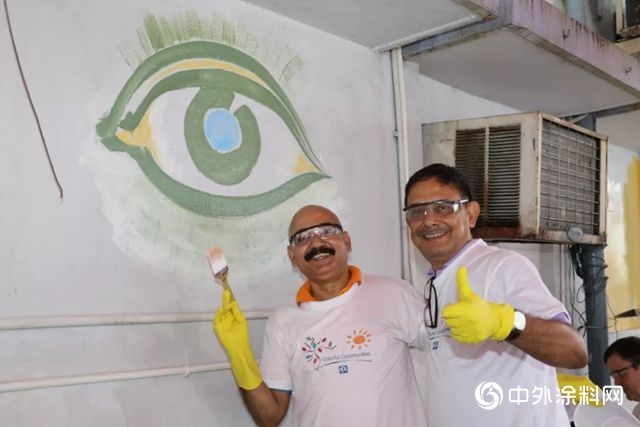 The project brought together more than 120 PPG, PPG Asian Paints and Essilor volunteers, who spent two hours painting the facility’s boundary wall on World Sight Day. 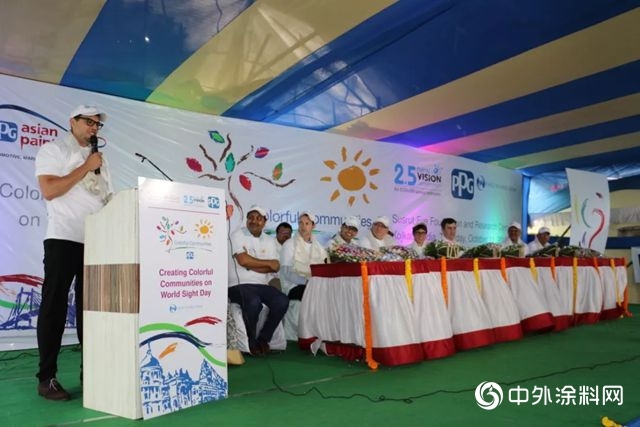 Non-profit Hand In Hand India also will facilitate the painting of the exterior of Susrut’s Building 1 over the next three months on behalf of PPG and Essilor. PPG will provide $17,600 to assist with the entire project, including more than 450 liters (120 gallons) of paint.